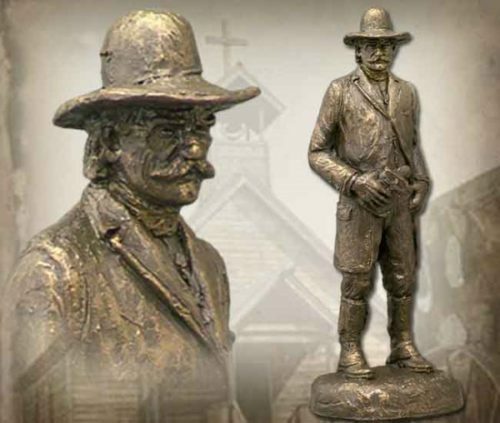 This pastor from the American Wild West stands alone to face outlaws with nothing more than a prayer – the definition of an American hero. 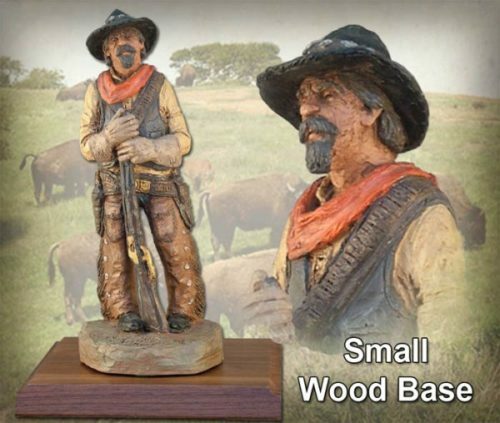 This handmade sculpture was created by Michael Garman. 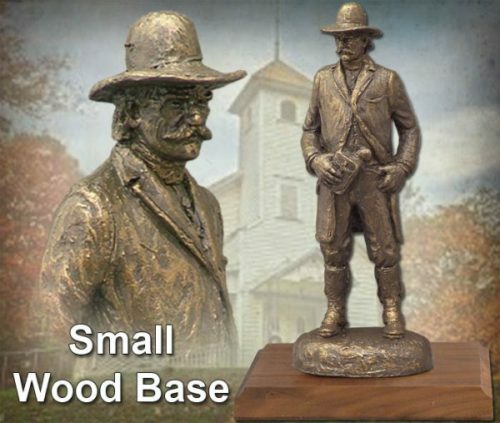 Sculpture measures 9.5″ tall. ©1990. Bronzetone finish. #MG075.